We are pleased to announce that Gaarde Christian School was chosen as the 2017 Best of Tigard for private schools by the Tigard Award Program. Congratulations Gaarde! Click here for April's calendar. Earn money for Gaarde simply by purchasing gift cards you would normally use at a variety of stores and restaurants. Orders are placed every Tuesday morning by 8:30a. Orders will be available for pick up two days later on Thursday afternoon. Looking for a great program to keep your kids engaged during the summer? Faith Journey Summer Camp is your choice! Registration has begun! Click here for the April hot lunch calendar. Hot lunch is served Monday, Wednesday and Friday each week. Tickets are $3.25 each and are available for purchase individually, or as a 6-punch card ($19.50) or 12-punch card ($39.00) from the front office. 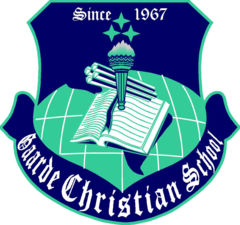 Click below for immunization data for Gaarde Christian School.